This is a tune brought in the shop by our friend Jesse. There's so much good stuff coming through the VAMP shop. If you're in the Oakland Area you gotta come through. Hit me up here for details or read other posts here that mention it. I was kind of bred into soul music by the Chicanos and Mexicanos in my hood as a kid. They showed me how to crease my dickies and how to stand with my feet forming a V. I always hated converse, they were uncomfortable as hell. But, a derby jacket and a little pomade and I was good to go. The original San Francisco Miklo. This was a remarkable period for San Francisco. There were still bombs rolling the streets of the city blasting sweet soul music, beige creased dickies and black suspenders. 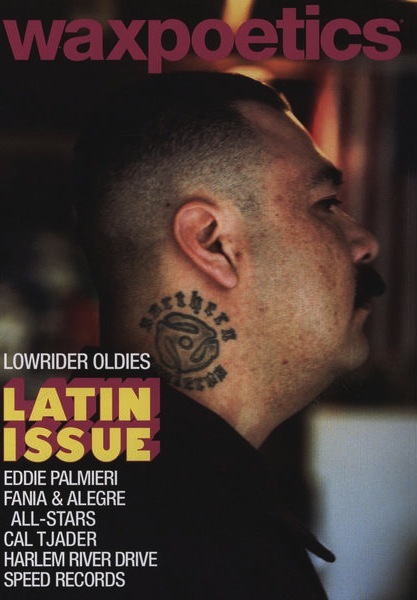 Lowrider and Chicano culture was at an all time high in the Mission district of SF. I also remember once after relocating to the East Bay hearing an incredible Friday Night Oldies DJ on KPFA. The passionate and stylistic voice of the radio announcer speaking both English and Spanish and always embellishing in street slang. That was really a wicked show and that DJ should be a national treasure. Ah, those times I miss. What really touched me about growing up in the hood and changed my life was the music. The Vato friend of mine from down the street left me with a handful of 45's that forever change my view. Oldies, funk, doo-wop and disco. Some of the most soulful music I had ever heard. Those nuggets left imprints that shaped my tastes to this very day. Parliament's 'Flash Light', The 'Theme From S.W.A.T.' and the hit oldies sound of Mary Wells and many others. Mary's 'Two Lovers' and 'Don't Beat Me To The Punch' were in that beginning stack of 45's and were constantly played on my fisher price turntable. Still to this day I love that sound. As much as soul music and oldies are embedded in my soul, so was my love and respect for Chicano and Lowrider culture. It's no wonder that the two interests are so infused with each other. The devotion in the Lowrider and Oldies scene isn't any less intense than the manic and obsessive Northern, Deep Funk or Disco Scenes. We're still basically talking about records here. So, as you can imagine it's just as fathoms deep as any other record collecting circle, maybe even deeper. When the wifey and I went out recently we stopped by the Casanova for an Oldies Night and release party for the Souleros Crew's piece in Wax Poetics and we had a fantastic time. Some of the nicest and friendliest folks I've met and a night of killer tunes. Some even I had to shout across the dance floor to any willing ear to tell me what was playing on the turntable. Great unknown oldies, Lowrider classics, Chicano Rock, and Latin Boogaloo groovers were being played. The Souleros family host parties and dance nights with events featuring 'The Baddest Chola Contest' and performances from groups like Myron & E. These folks are doing it big and keeping the harmonies and sweet soulful sounds alive and well. Here's another fine tune by Mary Wells. It's from the same period as her 'Serving Up Some Soul' album for the Jubilee label. She had a hit on that LP with the tune 'The Doctor'. 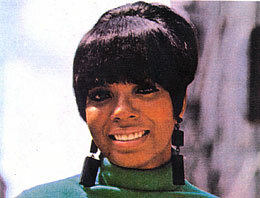 This was in 1968 long after she had left the Motown and Atco labels. In fact she had jumped aboard 20th Century as well for a short period, I think one album. This was her last volume of work before she completely abandoned the recording business. 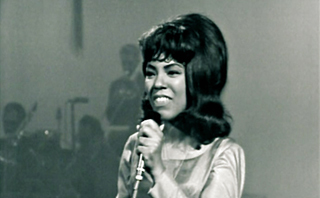 Mary had an incredible career of legendary soul tunes. 'My Guy', 'You Beat Me To The Punch', 'Two Lovers', 'The Doctor', an album dedicated to the Beatles, and a duet with Marvin Gaye...this gal has an impressive catalog to say the least.